In this article, we will guide you to install CyanogenMod 13 custom ROM on your Samsung Galaxy Note 3. CM13 is based on the latest Android operating system marshmallow 6.0 and is blatantly smooth and gives a very good user experience. You’ll love this custom ROM if you’re fond of exploring new things on your device. This whole new custom ROM for Samsung Galaxy Note 3 is the first of its kind which has been developed by one of the renowned developers from DXA Morningstar. So let us get to the guide and install CyanogenMod 13 on your device. Download and transfer the Galaxy Note 3 CM13 ROM and Marshmallow Gapps file to your device’s internal storage. After flashing both Galaxy Note 3 CM13 and Gapps, Reboot your device. Select “Wipe data/ factory reset,” then select “Yes” to confirm. 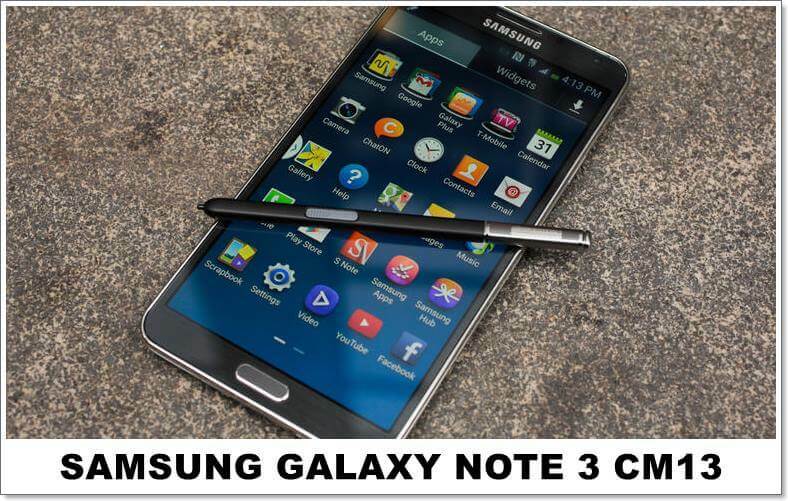 Choose the Galaxy Note 3 CM13 ROM file that you transferred to your device in Step 1 above. Once the Galaxy Note 3 CM13 ROM is installed, flash the Marshmallow Gapps file like you flashed the Galaxy Note 3 CM13 ROM.